South Denver Spa | When you are feeling stressed, you may notice that you are becoming more fatigued and are beginning to lose focus. South Denver Spa – When you are feeling stressed, you may notice that you are becoming more fatigued and are beginning to lose focus. As we all know being out in the sun feels great, but long exposure to UV rays can be damaging to your skin. Sunless tanning or spray tanning is the perfect alternative to being in the sun or in a harmful tanning bed. Spray tanning has come a long way from the orange tint we all remember seeing in the 80s. There are plenty of options in the local area to obtain a spray tan, but for the best spray tan Denver you should go to a highly rated tanning salon or day spa. There are two main types of spray tanning, airbrush tanning and sunless tanning booths. Both types can be great options depending upon your needs. An airbrush tan is manually applied by a technician who uses a spray gun to cover your skin with the tanning tint. The benefit of airbrush tanning is that it can be customized to your skin type and desired level (or darkness) of tan. Most bodybuilders and models use airbrush tanning before competitions or photo shoots. Sunless tanning booths, also called spray tan booths are a great option for someone who doesn’t feel comfortable standing in front of someone else to get their tan applied. Another benefit of spray tan booths is that the tan is applied evenly and consistently each time. Many of the newer systems also have additional options such as skin preparation, anti-aging treatment and even a heated system that helps dry your new tan so you can put your clothes back on right away. The most popular tanning booths are the Mystic tan, Versa Spa and the Versa Spa Pro. Whether you choose an airbrush tan or a spray tan booth, you can rest assured that you will have a nice even tan without any orange color or unpleasant scent. Your skin will look radiant and have a wonderful healthy glow any time of year. One of the best ways to pamper the body and relax the mind is through massage therapy. If you are looking for a good place to get a massage in Lone Tree, Colorado you can visit the Lone Tree Spa. You can call to set up a pleasurable visit with them for a relaxing massage therapy treatment. What are the massage therapy practices available at the spa? • Swedish Massage: This form of massage is a European technique most commonly requested in massage therapy. This is because stress is relieved from the body and mind through long flowing strokes that knead the muscle firmly, but gently enough to relieve tension and promote circulation throughout the body. • Deep Tissue Massage: This type of massage involves slow deep movements of the muscles to help release tension while also helping to reduce any scar tissue you may have upon your body. • Prenatal Massage: Anytime you are pregnant and experience the discomforts that come along with it you will find relief with this form of massage because it helps relieve cramping pains, promotes circulation to the ankles and feet and helps with edema. It also helps increase oxygen flow and nutrients throughout the body and to the baby so you both can be happy and healthy. • Hot Stone Massage: Smooth river stones are heated gently and then applied to the body to help give a relaxing massage during this treatment. This treatment is perfect for easy muscular aches and pains as well as insomnia and anxiety. • The Honey Drip Hydra-Massage: When you want something to pamper the skin and relax the muscles this is the massage to do. It involves a therapeutic massage, a honey drip hydrating treatment to help nourish the skin, a hot steamy towel treatment along with a jojoba oil one afterwards to soften the body and the skin. • Cupping Therapy Massage: This particular massage is a Chinese therapy based technique that helps remove negative pressure from the body and is excellent for relieving pain and treating stubborn conditions, stains, inflammation, toxicity build up within the body, fatigue and digestive issues. How much do the massages cost? The price of receiving a massage from the Lone Tree Spa depends on the type of massage you are getting and the amount of time you desire to have the massage done for during your visit. You can view full details on their massage therapy page. What are some of the other pampering treatments offered at the spa? Therefore, if you need a bit of pampering and pure relaxation a massage in Lone Tree, Colorado at the Lone Tree Spay is the place to visit. The staff there is professional, friendly and calming to the mind body and spirit. Women all over the world worry about how they look. What’s more, the use of plastic surgery to obtain certain levels of perceived beauty is at an all time high. However, there are ways that you can achieve certain looks with the help of makeup. What’s more, if you have a special event coming up, you can look like a brand new you with the help of a professional makeup artist. The truth is that you don’t have to go to extremes to hide your flaws and enhance your beauty. With the right makeup lone tree, you can be your very best for any occasion. One of the first things that you need to decide is how often you want to look like your skin is flawless, glowing or that you’ve lost 15lbs. Amazingly, makeup can achieve this for you, if it’s applied correctly and if you use the right products and tools. Your first step should be to consult with a professional makeup artist denver. Keep in mind that meeting with a makeup artist won’t be free, these are professionals that charge for their time. However, you can choose a less expensive consultation for your skin or a more expensive makeup lesson with a makeup guru that can help you look like a star. If you’re planning for a special event, and nothing else, then you can expect to meet with the make up artist denver twice. The first time is when they will look at your skin, discuss your desires for your overall look and do some color matching to see what makeup will best achieve the look that you want. An hour or two before your actual event, the makeup artist will arrive and then do your makeup. He or she may leave you with some sample products to do some touch-ups, should you experience any issues after they leave, but before your big event. If you want to learn how to achieve both special and everyday looks on your own, then make up lessons are in order. You may be tempted to use the Internet, with its plethora of YouTube videos, to learn how to apply makeup. While this can be a great tool, there is no way for an online personality to show you how you’re holding your hands wrong, or tell you that the brushes that you have are garbage. Only an in person expert can help you with these things. A makeup artist can also help you with dry or oily patches on your skin, choose the right makeup for your skin type, show you the right shadow colors for your specific skin tones and more. Using online videos simply doesn’t offer you the personal touch that you’ll get from a local makeup artist. If you want to look your very best all of the time, then you’re going to have to learn how to do it. By working with a makeup artist, and taking some lessons, you can become your own makeup expert. For many people, physical appearance and beauty are very important. Most women take measures to improve their outward appearances and make themselves look more attractive or feminine. While a huge abundance of different beauty treatments are available, some of the most popular are those that improve the appearance of the face. One of the most important attributes of your face is your eyebrows. Your eyebrows define your face and draw attention to your eyes, which most people believe to be the most attractive part of the face. While there are several different methods for styling eyebrows, one of the best ways is to undergo waxing. Lone Tree eyebrow waxing will allow you to have attractive and defined eyebrows that are long-lasting. There are several different techniques from grooming eyebrows and removing unwanted hair. People may choose to tweeze, thread, receive laser treatment or wax their eyebrows in an attempt to improve their shape. Of all of these methods, waxing is the most exact and precise. Tweezing is good for removing stray hairs after waxing is completed, and threading is good for removing multiple hairs at one time. However, brow waxing is the only method that can achieve a perfectly straight and accurate line on your eyebrows. Waxing also removes the hairs and keeps them from growing back for the longest time of any of the methods. This means you can go longer between treatments, which saves you time and money. In addition, the hair that grows back after you have eyebrow waxing is often much less coarse and less dense than your previous facial hair. Most people find that they are more satisfied with waxing than with any other treatment, and that it offers the best, most affordable, and most long-lasting results. Why Have Your Brows Waxed By a Professional? You should absolutely always let a professional at a reputable spa or brow bar wax your eyebrows. Try to do it by yourself or with a friend can have disastrous results on your appearance and the shape of your eyebrows. Your eyebrow technician will be trained and experienced at providing the best care and shape for your eyes. They will assess your individual eyebrows and ask what type of style you will prefer. They will then gentle apply the wax and quickly remove it using cloth strips. Any remaining hair will be removed by tweezers. Of all the ways to improve the appearance of your eyebrows, eyebrow waxing is the best and most cost-effective choice. Make sure to have your waxing done by a professional esthetician at a spa to ensure that your eyebrows are perfectly shaped. If you try to wax by yourself, you risk hurting your skin or pulling out too much hair. Choose a professional brow wax Denver today to look and feel your best! You may be exhausted and stressed from your everyday life. Taking care of a family and providing stable income can be very stressful and tiring, especially if you do not take time for yourself. This constant strain can cause you to appear older than you are or constantly tired. If you can’t see to relax or have time to yourself, you should consider visiting a day spa on a regular basis. These spas offer a variety of different treatments like an organic facial and massage therapy to improve your appearance and reduce stress from your life. By visiting a day spa Lone Tree regularly, you will see huge benefits in your overall health over time. These treatments can add years onto your life by reducing the effects of stress, and they can make you feel more confident in your physical appearance. Why Go to a Day Spa? If you are like most people, you have a lot of stress and worry in your life. You may struggle to balance the demands of your work life and your personal responsibilities, and you may experience a lot of stress because of it. You probably do not have much free time to yourself, which can also add to your discontent and make you feel exhausted. Constant stress and exhaustion can lead to serious health consequences and can impact your appearance, making you look older, tired or angry. You may not know what to do to help yourself relax and improve your health. Some people will undergo cosmetic surgeries or other treatments to improve their appearance, but this does not address the stress in their lives or improve the overall health of their bodies. One of the best ways to reduce the stress in your life while improving your health is by regularly visiting a Lone Tree day spa. Going to a spa gives you the ability to get away from your normal daily life and the demands of others, so that you can spend some time pampering yourself and decompressing. Just having this relaxing time to yourself can lead to improved health and do wonders for your appearance, but day spas also offer services to help people improve themselves even more. Day spas offer a huge variety of different treatments to help people look and feel younger and more relaxed. Some high-end day spas even offer various medical esthetic services, which can have fantastic results on your appearance without requiring surgery. You will be able to pick and choose whichever treatments you most desire or that will be most beneficial to you. Day spas are especially helpful in that they will cater to each person’s individual needs. Day spas are truly the most relaxing and rewarding way to enjoy some personal time and improve your overall health. After a day at a day spa Lone Tree, you will feel rejuvenated and be able to focus properly again on the things that are most important to you. More than likely, people will also be commenting on how beautiful, rested and refreshed you look, which will do wonders for your self-esteem! What Types of Services and Treatments Do Day Spas Offer? Massage. Getting a massage can be one of the most relaxing and enjoyable experiences of your life. Professional massages offer huge health benefits and can improve the overall health of your body. Massages will reduce muscle tension, improve circulation within your body and cause your body to reduce endorphins, which make you feel happier and more relaxed. Facials. Getting professional anti aging facials on a regular basis can drastically improve the appearance of your facial skin, making you look younger and more refreshed. The best day spas will use facials that contain all-natural organic ingredients so that your skin is not exposed to any harmful or damaging chemicals. Saunas or Hot Tubs. Most day spas will provide you with access to a hot tub or a sauna as a part of your treatment. These types of facilities can have excellent benefits on your health and wellness. You will enjoy looser, less strained muscles and more easily remove toxins from your body through sweat and heat. Non-Surgical Medical Treatments. Many of the more upscale day spas will offer non-surgical medical treatments done by a licensed and experienced esthetician. Some of these treatments include chemical peels Lone Tree and microdermabrasion. It is very important to make sure that you go to a reputable day spa with a licensed esthetician on staff for any type of medical treatment. Otherwise, you risk infections or damage to your skin from improper treatment or inexperienced staff. Make sure that you go to a day spa that takes your health seriously. If you are ready to enjoy some time to yourself and enjoy a relaxing experience, you should visit a day spa Lone Tree to see what treatments they offer. Everyone will be able to find a treatment that is right for them, whether it be a massage, facial or microdermabrasion. Day spas offer people the ability to choose which treatments are right for them and provide a relaxing vacation from real life. What are Some Different Types of Facials? Are you thinking of getting a facial, but have no idea what to expect? If so, not to worry. Facials can reinvigorate and rejuvenate your skin, leaving it feeling clean and fresh. Before you book your first facial spa lone tree appointment, however, you should know that there are a few different types of facials. Each kind of facial works well with a different skin type. This article will discuss the details of getting a facial and how each facial works to benefit different types of skin. When choosing what kind of facial to get, you first need to know what your skin type is. For example, if your skin is sensitive, you will want to receive a facial that is designed for your kind of skin. 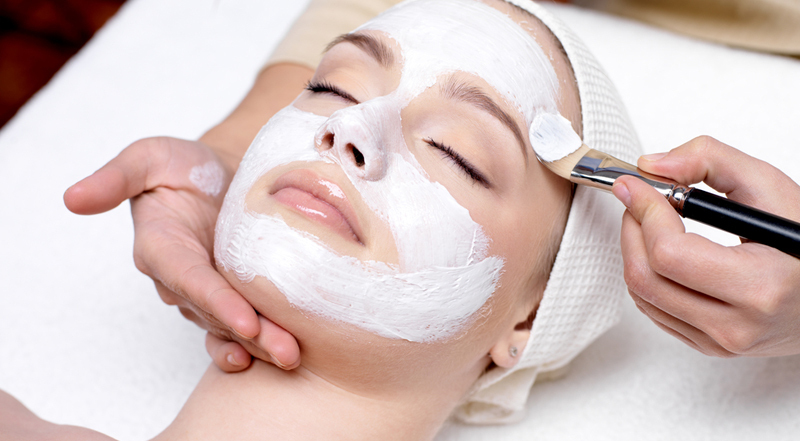 A sensitive skin facial typically is extremely gentle to the touch. This facial will utilize a lot of natural ingredients, such as fruits and plants, that are widely known to reduce redness. This is a great option for a denver facial treatment. Another type of facial is an anti-aging facial. These facials typically use natural ingredients that are known to slow down the aging process. Next, there is also a facial for men. You heard that right. Men do, indeed, get facials. A men’s facial will typically target issues that are problematic due to shaving and being outdoors. A men’s facial can also include back facial treatment. These are very beneficial because your back is typically the hardest to reach place when it comes to washing. A back facial is pretty painless and is coupled with an exfoliating and deep cleansing facial. Also, a spa may have what is called a signature facial. This means that the spa has a unique experience waiting for you that can only be found at that particular spa. Finally, receiving facials denver can be one of the most relaxing experiences that you will ever go through. A great facial should leave you feeling fresh and cleansed. If you would like to find out what different facial treatments are available in your area, contact your local spa for more information.